Through the last decade, we’ve noticed a crop of emerging personalities in the practice of sculpting with raw paper. Folding, cutting, glue-sticking and rolling- it’s very easy to understand the basics of creating sculptures out of art, however why do we marvel at several of the more recent paper sculptors and their uniquely unbelievable creations? Origami is probably one of the best known forms of paper sculpture, followed by paper cut-outs, folding lanterns and silhouettes. In the past few months, we’ve observed artists from every corner of the globe use a combination of the time-tested basic techniques to make artworks that have an impact the first time around. Cutting and folding techniques have evolved,just like the piece of paper art you see above. A modern combination of craft techniques and design styles give way to a new breed of assemblage-art that the world has yet to appreciate in full. We believe 2012 is a year where new and upcoming artists will bedazzle the art world with exciting concepts that will be both bold and innovative. Ann Arbor’s own Sharon Que is an American hybrid artist. While being a patron of music and specializing in violin restoration and repair, she finds herself creating a number of assemblage sculptures in her spare time. With her musical background in mind, Sharon bridges the gap of media and goes even further with her pieces. She tackles imagery in her work by mixing forms pertaining to issues of spiritual, secular and mathematical relation. The Detroit Institute of Arts acquired and displayed some of her works as well. She’s had various solo exhibitions in Ann Arbor, Birmingham, and recently in Fort Masin Center (San Fransisco) in 2005. Sharon’s deep, yet industrialized compositions speak of her mind’s conversation with the world, addressing her own thoughts as a person facing every issue we all face today in a modern society. 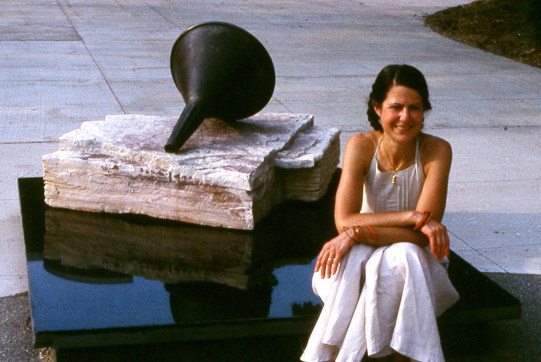 Some of her public sculptures blend well in their own hybrid forms due to Sharon’s knack for texture manipulation. Combining smooth surfaces with natural roughs and concrete allows one to fully appreciate the contrast within her artistic works. In 2008 Ann Arbor featured some of her works at the Gallery One in Washtenaw Community College together with some works by Tom Phardel. The Flaming Lotus Group and the Art of Fire Sculpture. To some, the famous “Burning Man” Arts Festival is a regular hotspot for gatherings of young and talented artisans from all across the globe. Back in 2000, a female-dominated art group was born through collaborative work during this special festival. The Flaming Lotus Girls took their group’s name from their very first sculptural masterpiece; the Flaming Lotus Sr. The art collective makes use of interactive elements to form kinetic and innovative sculptural pieces that dazzle audiences with displays of light and fire. They’ve gone from using alloys of metal, to medleys of glass and wood to create flame spurts of up to 150 feet in height. A few years back, they created an original piece called Soma. They were deeply inspired by the ability of neurons to fire signals into a complex system of nodes and receptors. 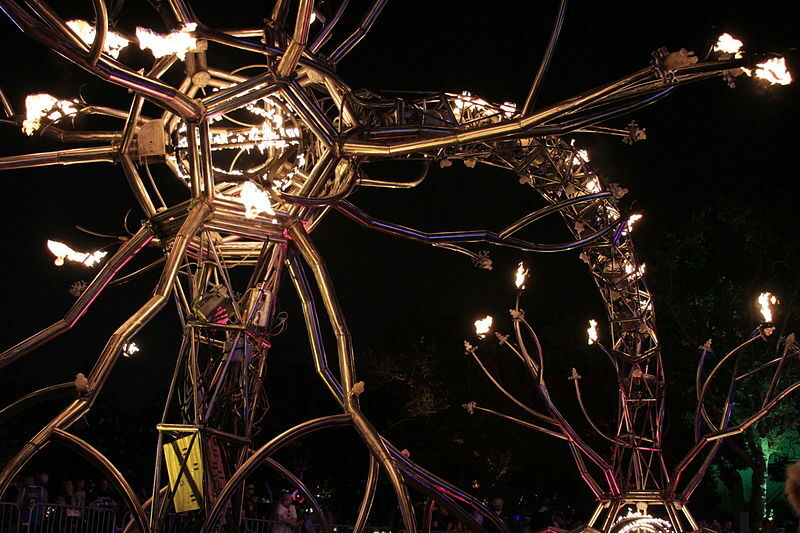 The large-scale sculpture exhibits two neurons that seemingly transfer signals to one another using intense displays of fire and light flow. One of the neurons roots itself onto the ground, while the other is hoisted higher above it. Computers are used to control the LED patterns within the connected neurons. The concept behind the interactivity isn’t limited to automation either. The complex design allows the public to communicate with the sculpture itself via a control system accessible to anyone. A Soma in nature is actually neuron with branches called dendrites and a projection called the axon. Basing from biological science, the art of Soma by this group of artists is a wonderful example of kinetic and contemporary art today. Roberd DuGrenier’s glass artworks are a hybridity of living art. We’ve never seen sculpture used in the curious manner that he creates. His many sculptural forms act as living cells or units by which other organisms can make use of artificially. They are very beautiful for the fact that his glass medium enables onlookers to see what normal people could never see; the hidden process of life in the world. 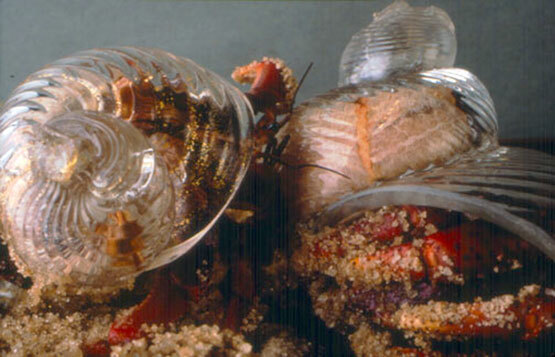 His hermit crab sculptures are comprised of glass shells that actual live crabs move into. These allow people to see the inner sanctum of the hermit crab’s anatomical body at work within the shell. DuGrenier’s sculptures are a magnificent and interesting way to teach children the basics of biology using these non-harmful curiosities to instruct lesson plans. Another one of his sculptures makes use of an invisible beehive. Sculpted in the natural form and contour of a hive, the artwork interacts with both the bees and people in giving the first a home and the latter a look into nature’s own honey factory. DuGrenier also sculpted a glass element that he integrated with the natural growth of a branching tree, In the globular glass object, people were able to see the movements of the tree’s branch growth day by day. These works of art provide a window into the unreachable sights that human beings often just wonder about.